AN UNFORTUNATE OCCURANCE, LEADS TO NEW FRIENDS! Toledo is a centuries' old city in central Spain perched magestically atop a hill over the Tagus River, and a World Heritage Site. Reached by a series of escaltors and filled with churches that were former mosques and synagoges dating back to 1085, Toledo is like stepping back in time and is so steeped in history its impossible to do it justice. But that's a story for another day, because when the tour bus returned to Madrid after 9pm, it dropped me in a different part of town. After checking the GPS for directions back to my apartment, I stupidly put my phone in my back pocket and went inside Mercado de San Miguel. Well in the blink of an eye I was bumped and pickpocketed. 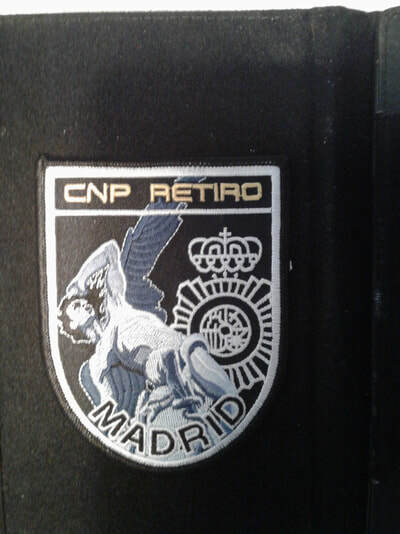 But worse than being robbed was the treatment by Asurion insurance; after a dozen calls from Madrid, my sisterinlaw finally was able to reach them from Brooklyn, and file a claim, but they refused to send my replacement to me in Spain. Most important, it was only a phone and not my wallet or my passport. ​However, that dark cloud had several silver linings as I was led to a host of new friends and new local haunts. 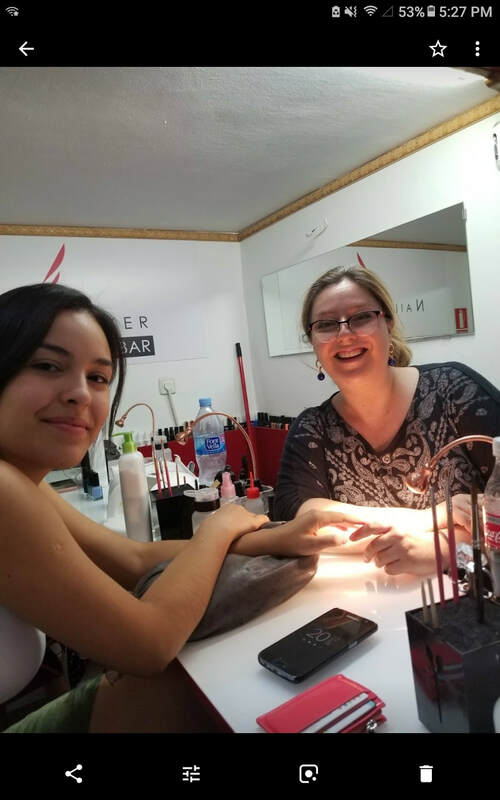 The day before, I discovered a shop a few feet from my apartment, that is a testament to ingenuity and cleverness, "Nails Maker, Nail Bar." A nail salon only a bit larger than my closet; a mere 8-1/2 meters? Of course I was skeptical , but gave them a try and the service was amazing. Open seven days a week from 10:30am until 9:00 pm, and with only 4 chairs and 4 employees, the shop is never empty, because the staff is efficient and personable, the prices resonable, and the work first rate. Susana and Karla did my mani/ pedi and made me feel like an old friend. ​So, they were the first people I thought of for help with my lost phone. They found the nearest police station and wrote out the directions for me. Fortunately, it was a short walk. To my surprise, the station was unexpextedly crowded, but another woman filing a complaint spoke English and was a great help to me in filling out the required forms. After about 90 minutes, I was interviewed by a very personable young detective named Rafael Munoz. When I told him the story and also that the "find my phone app" located it, he said he would walk with me, and he did. The location was a reataurant, but alas by the time we got there, the message read "your phone cannot be located because it is turned off or the battery is dead." 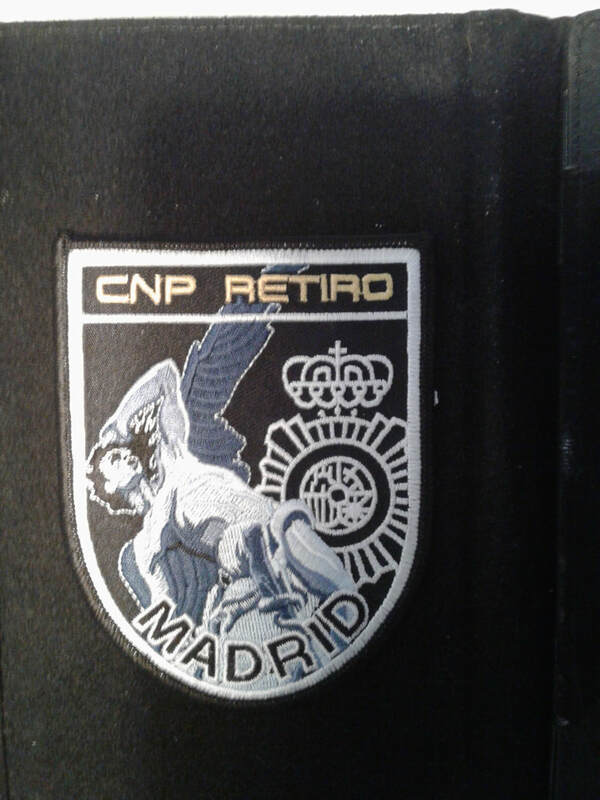 When I told him I worked in the courts in New York, he gave me an official patch and small badge that reads, Cuerpo Nacional de Policia. He then used his phone to google Sprint locations, and told me if i could get the VIN number he would check local pawn shops for me. He also talked about his experience marching in the Columbus Day parade in NYC. A really nice guy who went above and beyond and made a bad experience less frustrating. 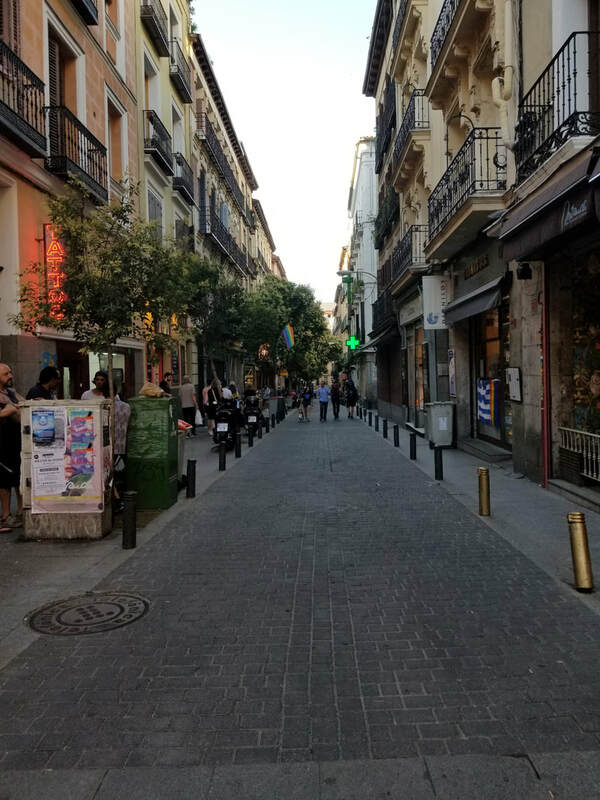 We said goodbye and I grabbed a cab to the Sprint store which turned out to be a gas station near the Chueca neighborhood of Madrid; and no one spoke English. Tired, hungry and now near tears, I was about to leave when a customer came in and miraculously he spoke English. He sat with me and allowed me to call Sprint, but when Sprint transferred the call to Asurion, his phone died. But ever helpful, he told me not to worry his office was nearby and he would get another phone for me to call, and also help me to buy an inexpensive phone so I could have access to the internet for the rest of my stay. What a Godsend! I will be forever grateful to you Mr. J.M.Person. Back in my neighborhood, I decided to have dinner at MARINA VENTURA, allegedly Ricky Martin's favorite spot in Madrid. The restaurant was recommended by a customer at the nail salon, because they are known for their paella which I was fiending for. And I was not disappointed. The mushroom fritter appetizers were to die for, the wine was exquisite and the paella succulent. All made even better by my attentive waiter, Diego, who is originally from Bogata and speaks perfect English. ​And so, I continue having a blessed time here in Madrid. 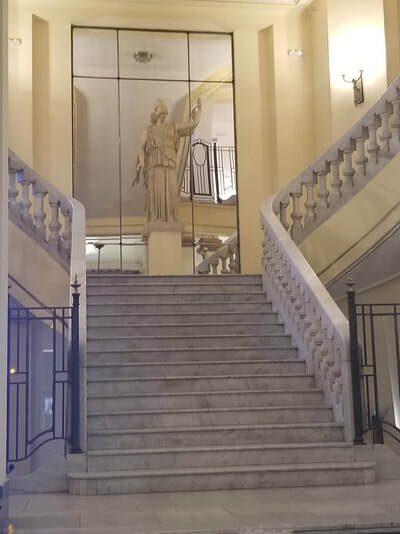 More of my adventures and recomnendations for what you should do and see in Spain. Coming up: Toledo, Barcelona, Sitges, Girona. Ciao! Benidorm is a lovely city on Spain's Costa Blanca. Its resplendent with white sand beaches on the tranquil Mediterrean, myriad of shops, barsband restaurants. After an approximate 21/2 hour train from Madrid's Atocha Station, we arrived in Alicante, a beautiful and historic port city. From there its a 90 minute tram or 45 minute ( 70 euro) cab ride to Benidorm, but it's well worth it. 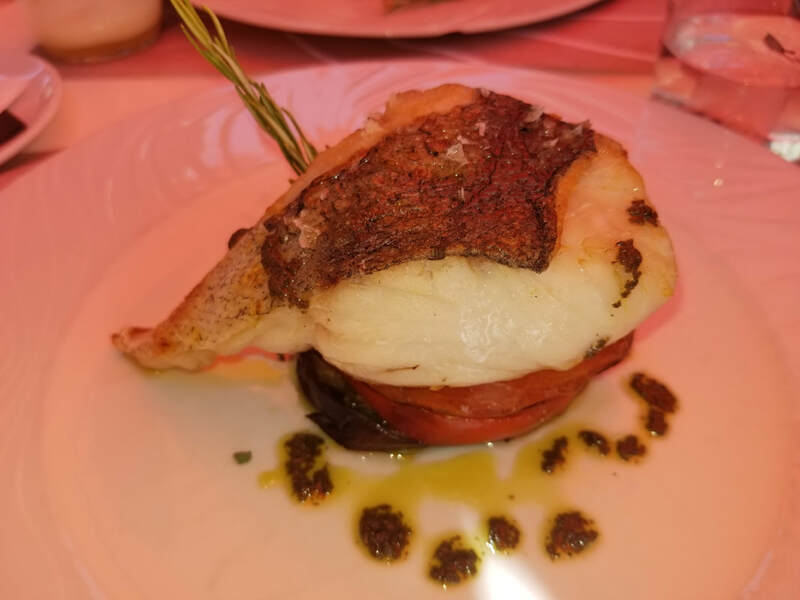 On our return to Madrid we actually spent a few hours in Alicante, walking the palm lined streets, and and then enjoying a sumptuous, but overpriced, lunch at the very elegant and popular Piripi restaurant...fish, steak, two glasses of wine over $100 euros. ​The newly opened, RHCanfali boutique hotel was our final destination in Benidorm. I don't think the view from the terrace of the crystal clear Mediterrean below and Benidorm island in the distance can ever be duplicated. A wonderful breakfast buffet, featuring both hot and cold items, and unlimited mimosas was included. While we tried several restaurants in town, our favorite was the hotels own, D.VORA. The staff, especially Hind, Alex and Paco, couldn't be friendlier or more accomodating. 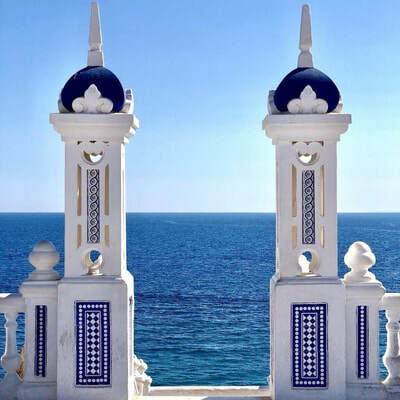 An exhilarating day trip is the 20 minute boat ride to Benidorm Island, its a nature reserve with many myths of how it came to be, one involvin a giant who kicked off a piece of the mountain when his wife died. The rock itself is great for hiking; there's a small, but rocky beach for snorkeling or sunbathing; and a cafe with fabulous views and delicious paella. Roundtrip is 15 euros; boats run every hour so there's no need to hurry back. 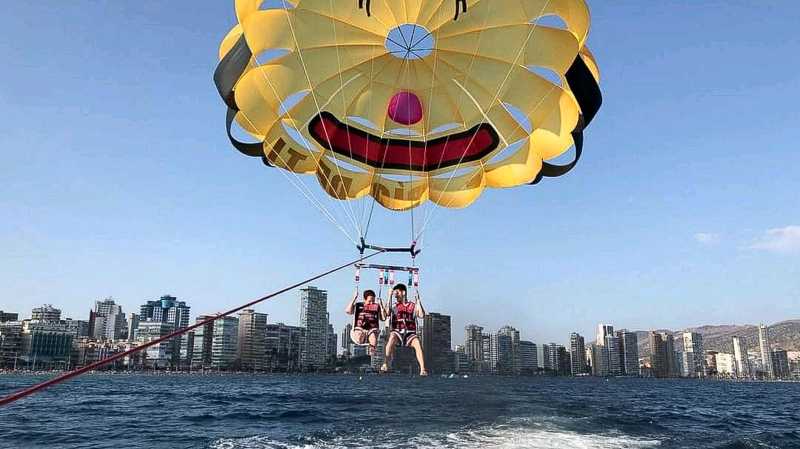 ​Other fun things to do in Benidorm are, photos at the stunning Balcon del Mediterrean, at the end of the Plaza Castelar; parasailing, getting a pedicure at the fish spa, shopping and of course chilling at the beach. And not a drop of rain ever. Paradise!!! A LAZY DAY BRINGS SURPRISES! Slept late, breakfast in apartment with sun streaming in. It's wonderful to live like a local, having coffee on the terrace watching the activity in the street below. Especially when a maid is provided once per week. Alvaro the host is wonderful, and has thought of everything--wash machine, hair dryer, coffee maker--all the comforts of home, and more! ​Afterward, a trip to the local DHL to send off a package to the states. 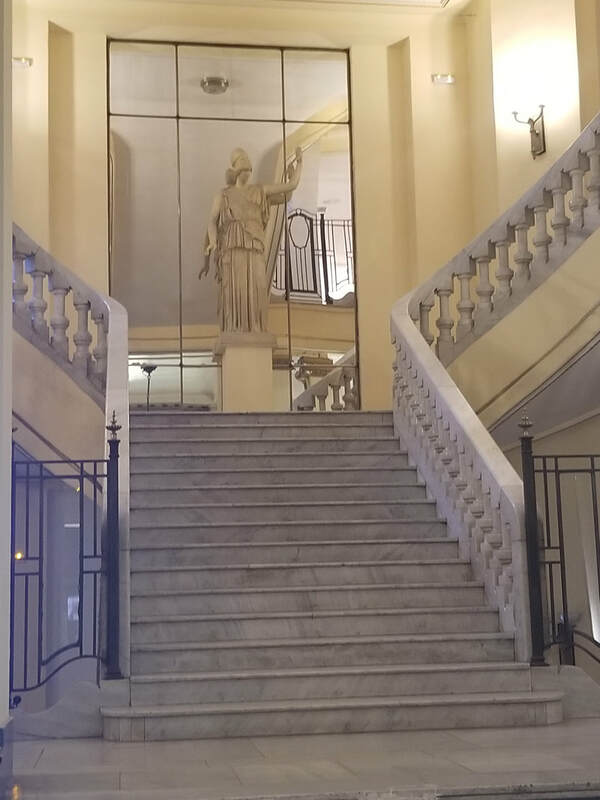 From there, the afternoon was spent at the Circulo de Belles Artes, a not for profit cultural institution founded in the late 1800s. It is said to be one of the most important cultural centers in Europe. Picasso once studied painting here. 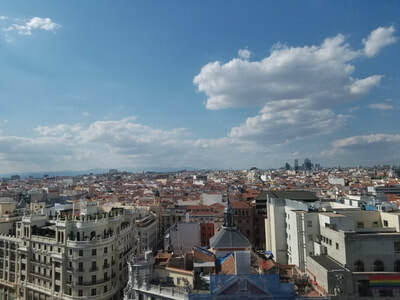 A beautiful building with a rooftop, bar, restaurant, lounge, Azotea,--and the most spectcular views of Madrid! More shopping on La Gran Via, then time to get ready for a late, light dinner. Tonight is was local in the beautiful and lively, Plaza de Santa Ana, up the block from our apartment, at La Vinoteca. The wine list is phenomenal, as is the friendly service. Carlos was very helpful to me. A nice Ribera went well with the tapas: buratta and tomatoe on toast, sauteed mushrooms and ham, and cod fish croquettes. An after meal stroll, and a nightcap and a local bar, Taberna La Cueva, closed out another wonderful day in Madrid. One of the absolute joys of life is realizing one's dream. For me it's living in Europe and almost feeling like a local. 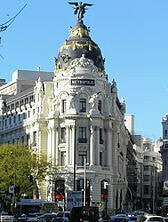 Madrid is similar to most big cities in that it is divided into very distinct neighborhoods. I'm currently in the historic Barrio de las Letres...steeped in history and centrally located, the area was once home to many famous writers, including Cervantes. The area is within walking distance to two very well known plazas: Sol and Santa Ana. 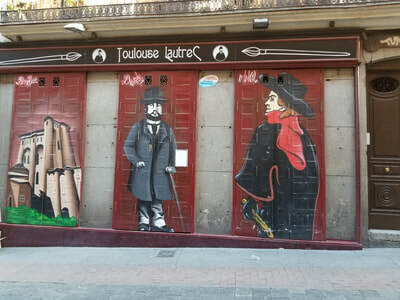 With winding cobblestone streets, endless tapas bars, museums,galleries, and dress shops, this area, often called Huertas, is a perfect combination of old world charm and hipster chic. ​I am lucky enough live across the street from La Mucca, and have become a regular. My new BFF, Rafael, always remembers my vino tinto with a side of ice. I've also become partial to the veal carpaccio. 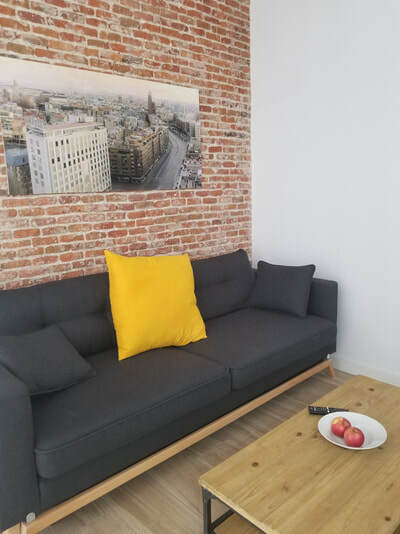 ​Down the block is supermarket, Carrefour Espress, so convenient for all the necessities of apartment living, including a decent wine selection. Just as important to me as food is a hair salon...so I was thrilled that Corta Cabeza @ Calle del Prado, 12, is only a few metres from my apartment. A large, bright salon with pulsating music makes the experience energizing. ..and the head massage with a conditioning treatment es espectacular! ​ Ask for Antonio or Javier...you'll be treated like a queen; or king. Its a super hip and affordable unisex salon. Tell them Alyce sent you. ​Another joy of living in this neighborhood is not having to drive. I'm feeling healthier walking everywhere and continue discovering new shops and cafes. One such, OCAFU is elegant and has a lovely menu and wine selection. For a light lunch vinto tinto and buratta and tomato salad. Adios for now. ​Next up: the seaside town of Benidorm. 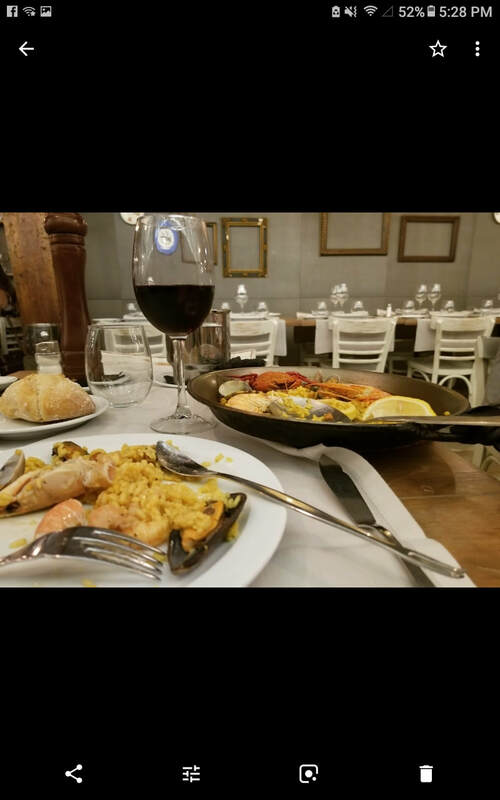 Eating in Spain is an event...and you better know the hours of your mealtimes, or you will starve. The two major meals are La comida, or lunch from 2 -3:30 and La cena or dinner, from 9-11; but if you're hungry about 8, you can treat yourself to the famous tapas, or small plates; tortilla espanola and gambas al ajillo are among of my favorites. 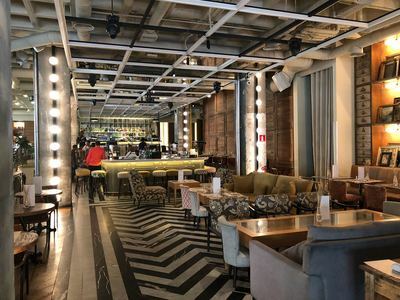 Two popular upscale restaurants here in Madrid for lunch and dinner are Gymage and Tatel. ​The former is located in the hip neighborhood of Malasana. Gymage houses a gym, a hair salon, and the rooftop pool, bar and restaurant, serving everthing from smoothies and fresh juice to frozen daiquiries and full course meals. Its a beautiful urban oasis, with spectacular views, a perfect respite from the hustle-bustle of the city. 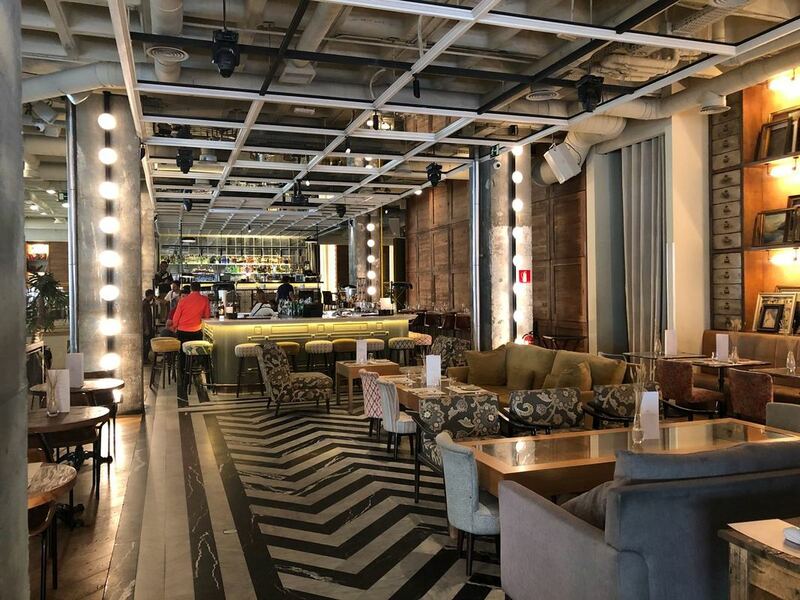 ​Tatel is an elegant, yet trendy restaurant located in the barrio Salmanaca. Its expensive, but it is worth it; the food, wine selection, ambience and decor are exceptional. Reservations are a must. 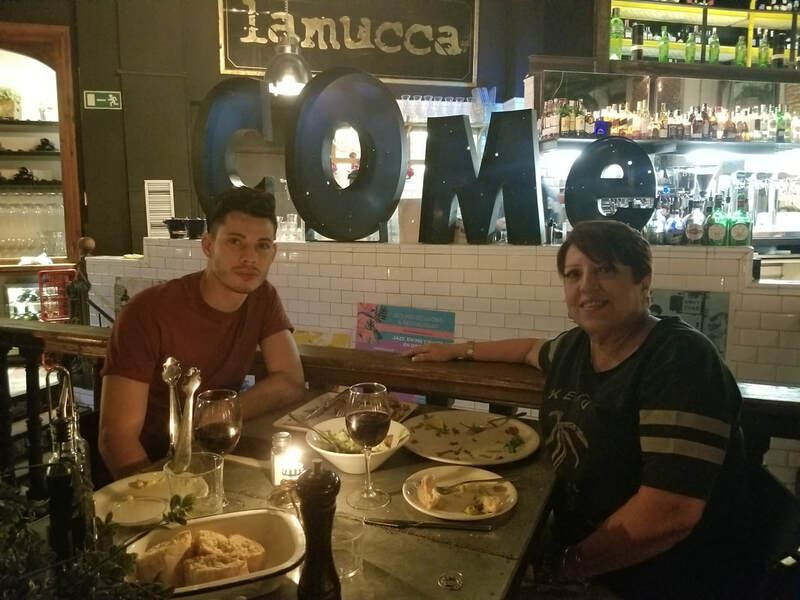 Try the fresh tomato and buratta salad and the shrimp with avocado. Superb! Hasta manana! Ciao. This magnificent boulevard , La Gran Via, is probably the busiest street in Madrid. Over 100 years old, and covering nearly a mile, this historic area is a shopper's paradise. Here you'll find everything from high end watches and jewellry at Grassy to sneakers at Addidas; from the popular stores for both women and men-- Bershka, Zara, Primark, Stradivarius -- to the centuries-old book store, Casa del Libro. Its an incredible experience, and you'll need more than one day. The architecture alone will be worth a visit even if you're not interested in shopping. 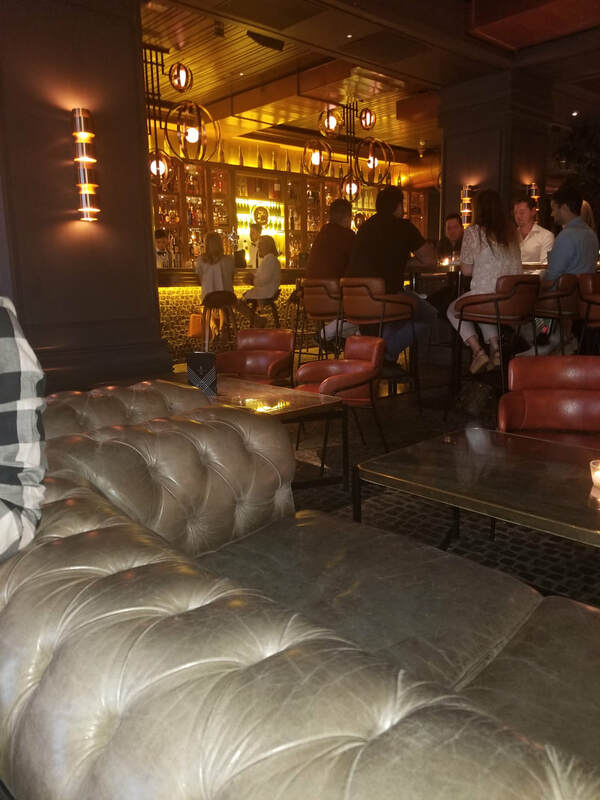 Of course the area is also chock full of tapas bars, pizzerias, as well as upscale hotels and restaurants. However, lunch today was in a popular restaurant near my apartment on Calle del Prado, Lamucca. 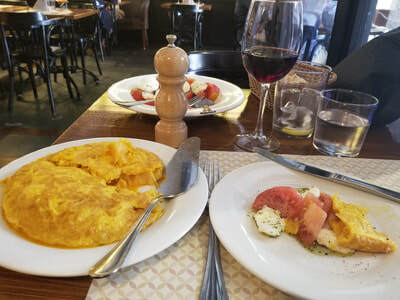 The temp hit 90 in Madrid this afternoon; so a mediterrean salad and glass of red wine inside the air conditioned comfort of this lively, popular establishment was just perfect. 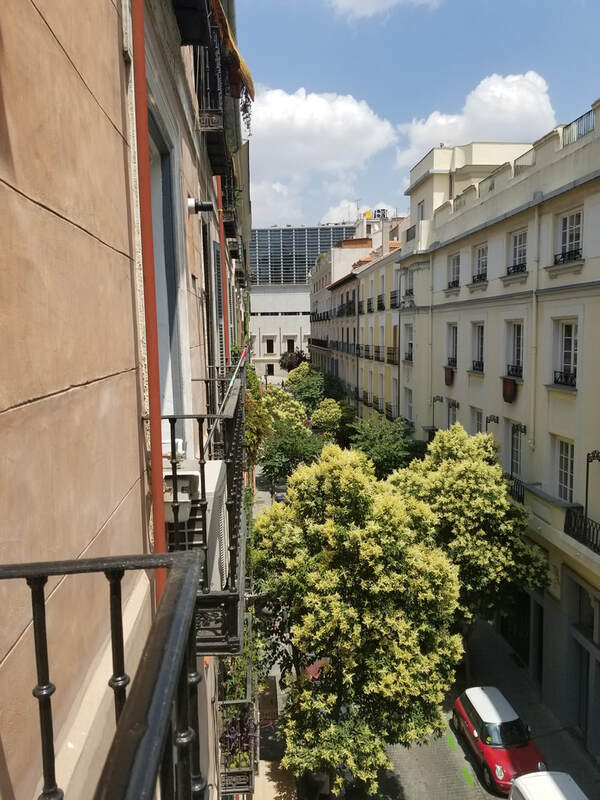 ​Afterward a stroll through my new neighborhood, he charming , barrio de las letras,once home to many of the great Spanish literati, including Cervantes. 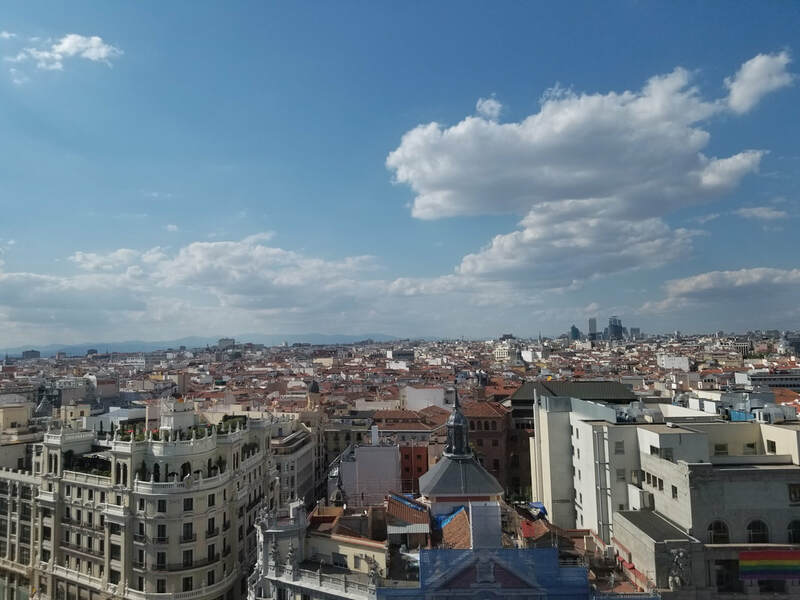 I will be spending the month of July travelling through Spain, offering you a glimpse of the people, places, history of this beautiful country.This week I am here in Madrid, an elegant city and the capitol, dating back to the 1600s. ​Today a visit to Buen Retiro Park (Park of the Pleasant Retreat). 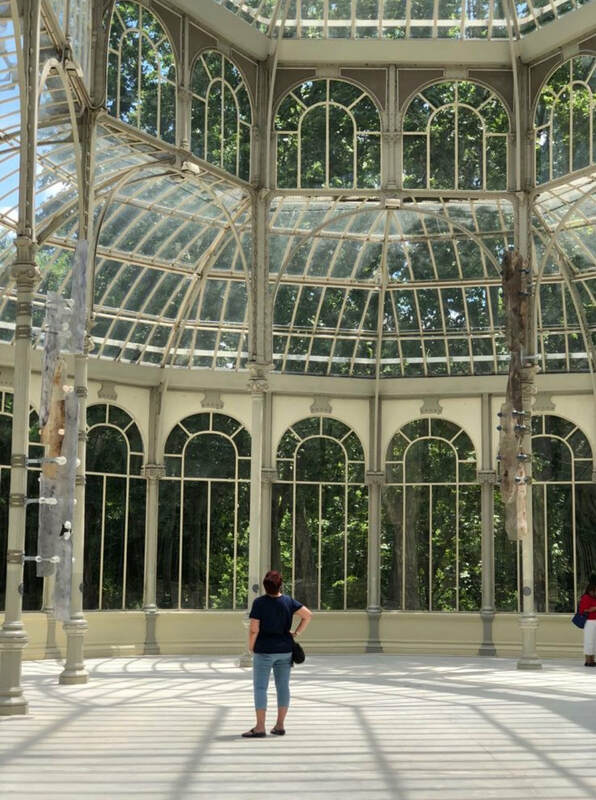 The 350 acre green space located in the heart of Madrid once belonged to the monarchy; it became a park toward the end of the 19th century. Its impossible to see all the wondrous sites in one day, among them: The Statute of the Fallen Angel; the iconic Crystal Palace; the lake surrounding the Alphonso XII monument. ​Afterwards, lunch at the elegant, Perrachica restaurant located at Calle Eloy Gonzalo. With gorgeous mismatched chairs and china, the popular eatery has an eclectic menu and an excellent wine list. The oxtail croquettes and eggplant tempura with hummus were fantastic. At dreamingantstravel, we provide exotic travel arrangements for you and your family. 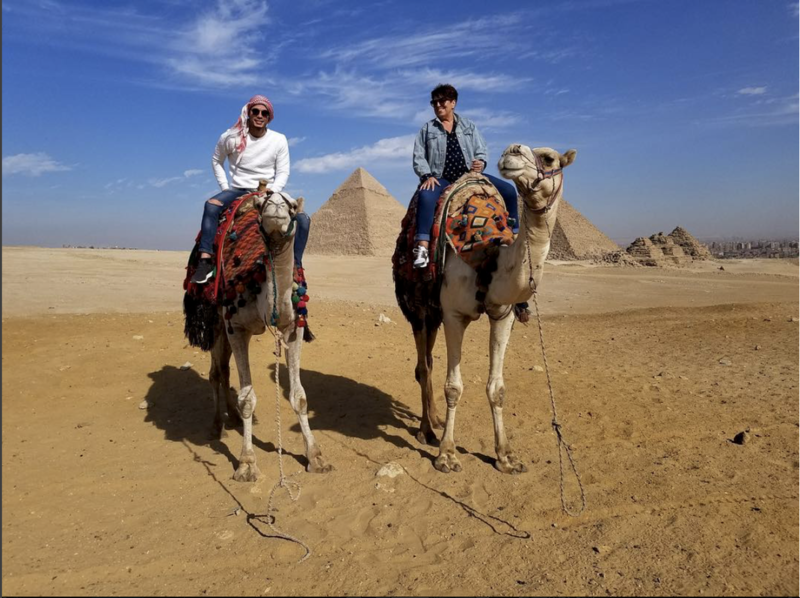 When you think Travel Alyce Serrano thinks memories. Travel in style today to your exotic destination with dreamingantstravel.